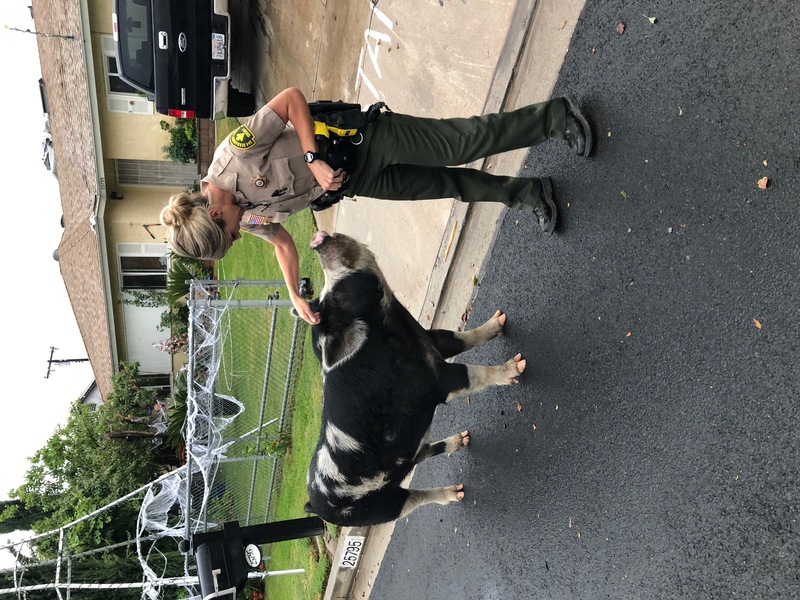 DATE/TIME: Saturday, October 13, 2018, at 7:50 a.m.
On Saturday, October 13, 2018, at 7:50 a.m., Deputies Shelly Ponce and Ashleigh Berg of the Highland Sheriff’s Station were dispatched to the area of Sterling Avenue and Vine Street regarding a large pig, resembling a small horse, walking on the streets. When they arrived at the incident location, they located the pig but had no way to gain control of the animal. 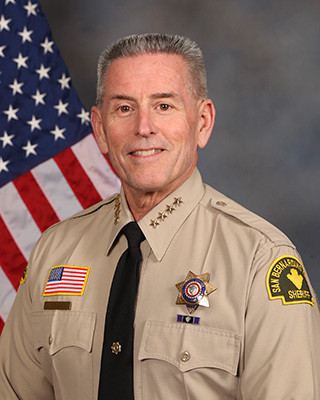 The deputies knew where the pig lived and devised a plan. Ponce used Doritos she had in her lunch and started the trail to lead the pig home. 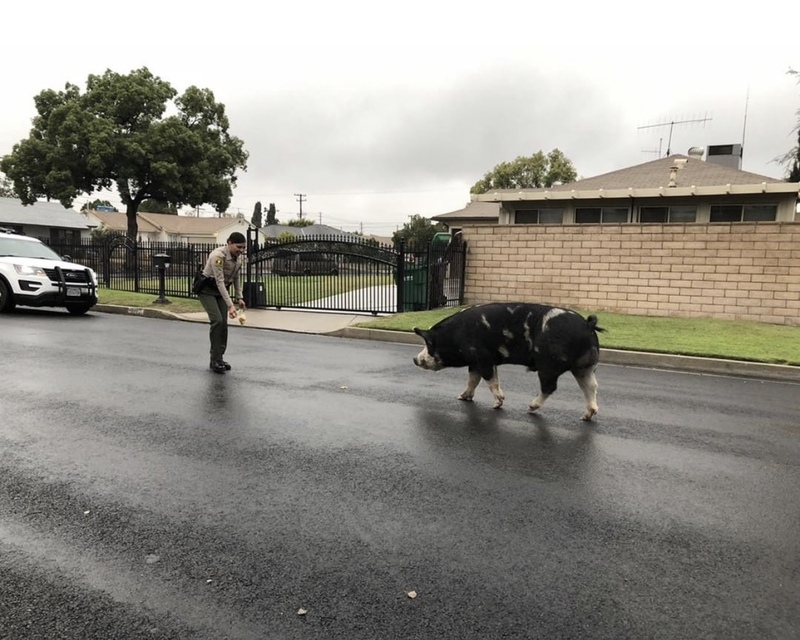 The deputies were able to lure the pig back to his home successfully and without incident. The pig was secured back in the yard of his home.